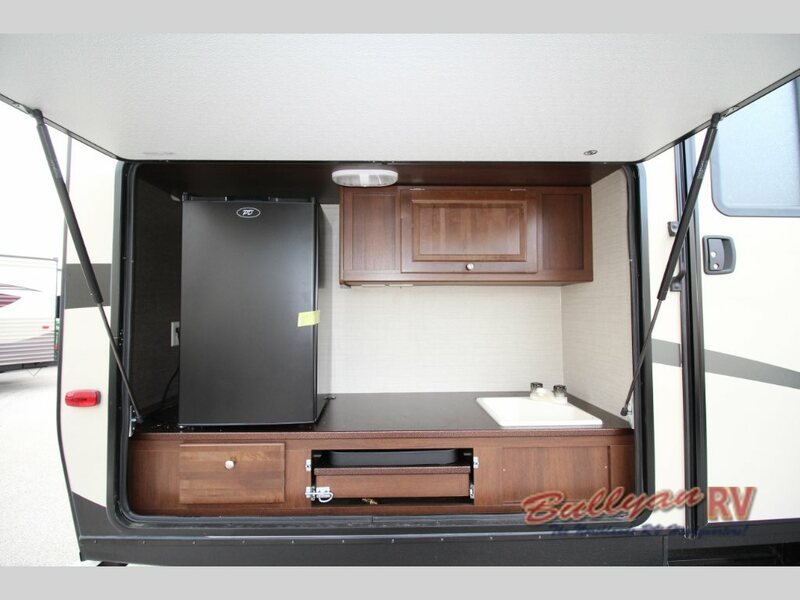 In recent years, many new options in Ultra Light travel trailers have hit the market. This is a good thing for consumers since manufacturers have to push themselves a little harder to present something new and exciting. 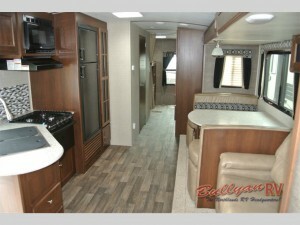 This is where the Keystone RV Premier Ultra-Lite Travel Trailer comes in. This handsome, aluminum framed RV is in a class all by itself. 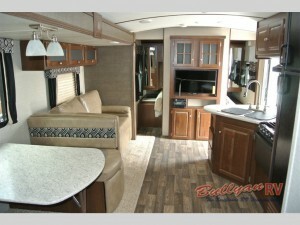 Keystone has taken the ultra-lite to a whole new level by adding features normally found only in higher end coaches. We’ll start with the exterior. At first glance, you will be impressed by the aerodynamic and eye appealing design of the front cap. This is not just for looks. 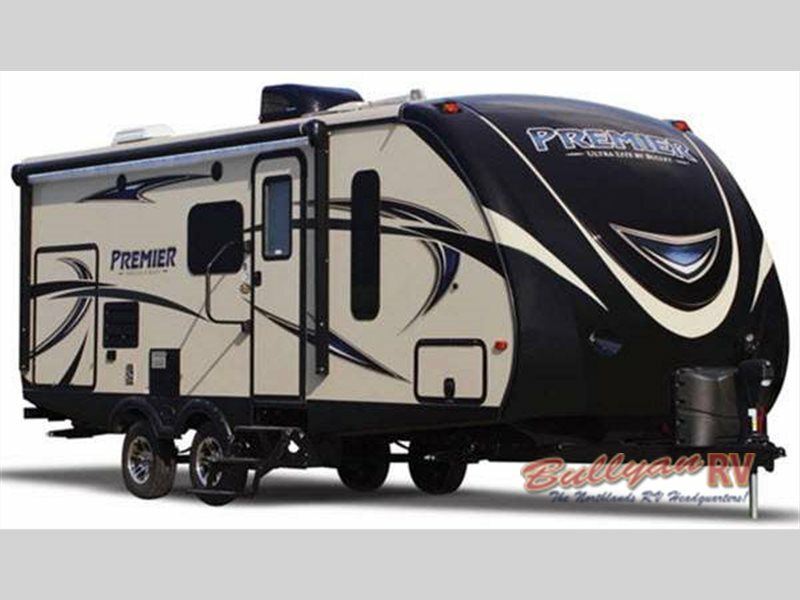 The Premier’s front cap cuts through the wind with ease making this one of the most tow friendly travel trailers on the market. Plus, the industry leading 1/4″ thick fiberglass Keystone uses for the cap is strong enough to withstand years of road wear. You will find the interior to have the same high end details as the exterior. The Premier’s breakthrough features include a vaulted ceiling, Max-Depth slide room technology, 8 cu/ft refrigerator, and lots and lots of storage. In fact, it offers luxury, progressive styling, and high impact features at a price never seen before. And for the cherry on the top, many floorplans for the Keystone Premier include a large, fully equipped outdoor kitchen so you can thoroughly enjoy your experience outside. The large compartment door doubles as a shelter from the elements. As far as ultra- lite travel trailers go, the Keystone Premier by Bullet is a high end, cutting edge answer to the question “which one do I purchase”. To see these advances in RV construction in person. Contact Us at Bullyan RV and our friendly staff will help you find the perfect RV to match your travel needs.